Everyone’s favorite TV scientist, Bill Nye – known for his children’s program in the 90s as well as for being a throwback internet celebrity – is being recognized for all his work in basic, 8th grade-level sciences by being awarded the Nobel Prize in Television Science. The award, the first to be awarded by Nobel, is given to people who pretend to practice sciences on television programs. According to the Nobel committee, Nye is the “perfect candidate” for the award, as his actual knowledge of science and scientific topics is limited only to what his writers can come up with for him to explain. Nye will be accepting his prize in a televised program to air in December. Panasonic has announced this week their biggest venture yet – a 250-inch HDTV that they plan to release for the home market in time for the holiday season. The model, which they are calling Megasonic, will reportedly retail for $1.1 million. Full specs of the TV were not immediately made available, but Sukayama did say that it would have “ample HDMI” connections, as well as be 4k-HD compatible. Sukayama says that he hopes that by Christmas of 2016, a full year after they plan to launch, that at least a quarter of a million homes throughout the US will have one. Reportedly, the TV will have the ability to pick up SD or HD signals, accept inputs from up to 15 devices, be wi-fi and bluetooth compatible, transform into a small car, and teach your children foreign languages. NBC has announced today that they will be doing an ‘altered remake’ of one of their most popular sitcoms to date. The new show will be loosely based off their hit show Friends, and is tentatively titled My Niggas. Casting is currently under production, and while they report the show’s main stars will be African-Americans, they will have a feature white character appear on the show down the line, if the show is a success. 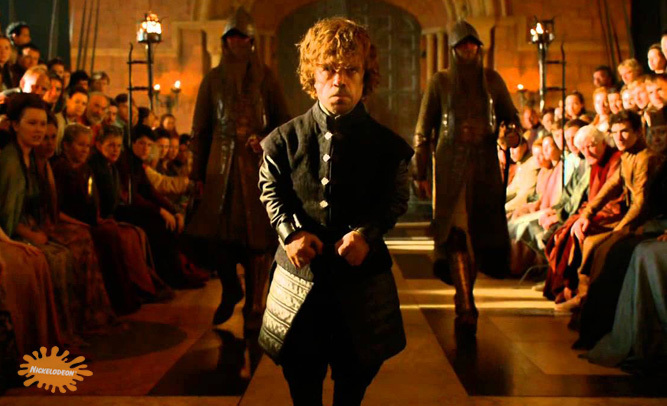 Casting continues on the show until the end of February, and the show begins filming in April. Producers have already said that after the show takes off, President Obama is more than welcome to join the show as a recurring cast member once his presidency ends next year. 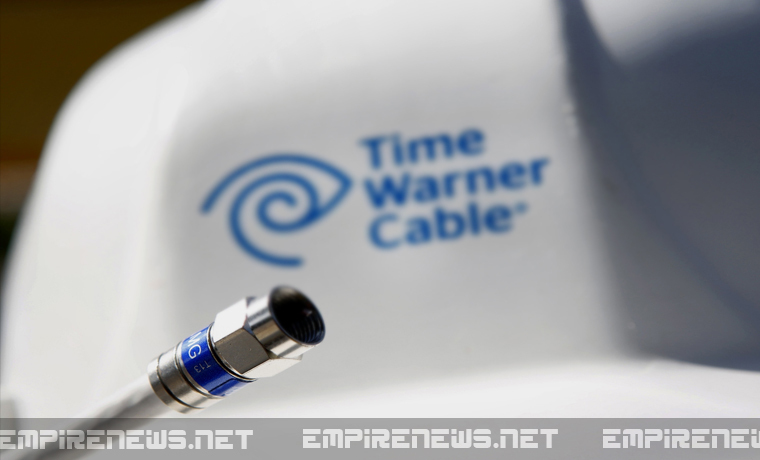 Time Warner Cable spokesperson Lavette Ansari announced that Time Warner Cable services, including broadband internet, would not be available to customers on February 29th, due to maintenance and network testing. In the statement, Ansari said that the shut down for network maintenance was necessary to maintain the high quality broadcasting product and superior internet service the media giant company offers. The decision to shut down and perform these maintenance actions comes at a time during which many media companies and internet services are being attacked by groups of rogue hackers. Both Playstation and Xbox networks have each been hacked and shut down recently, as well as Chase Bank and Sony Pictures Entertainment. The plague is not confined to the United States either, as North Korea has gone without internet service throughout the entire country following the actions of sophisticated hacking. Kurt Sutter, creator of the hit FX drama Sons of Anarchy, has announced plans to turn the popular television series into a major motion picture. Sutter, who was also a writer, producer, and director on the series, said in an interview with Hollywood Today magazine that he has long contemplated taking S.O.A. 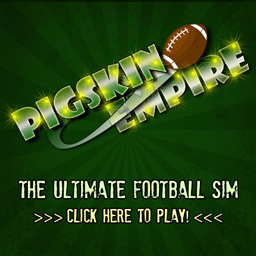 to the big screen following its run on television. “People absolutely loved the show, as did I, and I have put a lot of thought into the matter, and we are going forward with turning it into a feature film” Sutter said. Sons of Anarchy ran for seven seasons on FX, from 2008-2014, and in the process built a huge following. 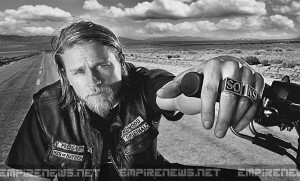 Sutter said the film will star Charlie Hunnam, who played the lead character Jax Teller, as well as Ryan Hurst who played Opie Winston, and Katey Sagal as Gemma Teller. The film, which is a prequel to the storyline of Sons will also introduce fans to Jax’s father, John, who will be played by Brad Pitt. Superstar television evangelist T.D. Jakes is in the news this morning, after ranting about a popular children’s cartoon during a radio interview on WGOD AM, a non-profit, non-denominational based radio program which airs throughout the state of Texas. Jakes, who is Bishop of The Potter’s House, the famous mega-church located in Dallas, claims that the animated children’s program Peppa Pig contains several unethical subconscious messages, most notably of sexual and racist content. 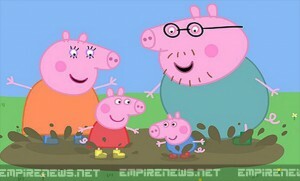 The 57-year-old Man of God went on to explain that the characters featured on Peppa Pig highly resembled penises, and that characters were often gallivanting and making racist comments. This is not the first time Peppa Pig has been called out for being racist. 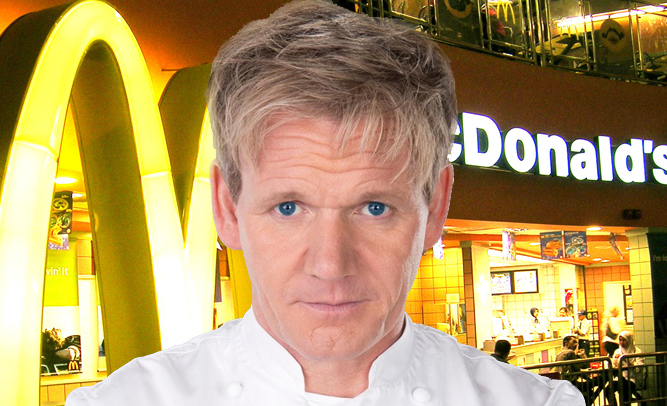 Members of the Muslim communities in the United Kingdom, where the show is recorded and produced, signed a petition in recent months claiming the show was clearly anti-Muslim and promoted the gross consumption of pork. Empire News attempted to contact Jakes to no avail, but Nickelodeon officials did return an email saying there was absolutely no truth behind the claims of racism or sexual innuendo, and that the popular children’s program would continue to be aired in heavy rotation. 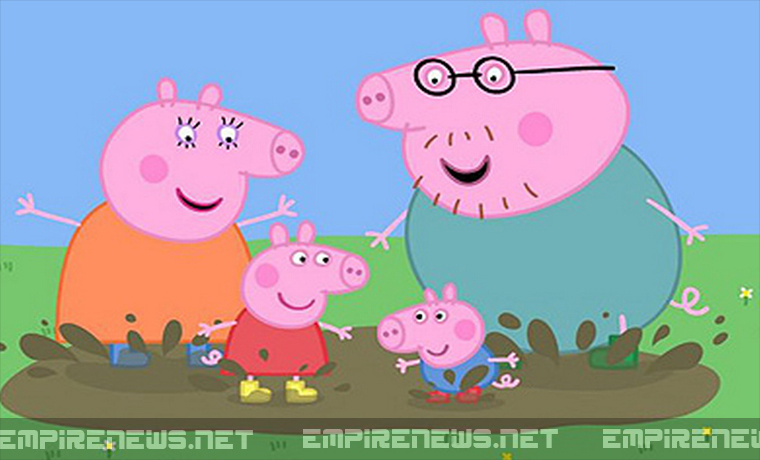 Peppa Pig, as most parents of toddlers are no doubt aware, currently airs at least 167 times daily, on networks such as Nickelodeon and Nick Jr. in the United States, and several others internationally. Recently cancelled by TLC, Here Comes Honey Boo Boo has been picked up by SPIKE TV, and will have new episodes airing in January. 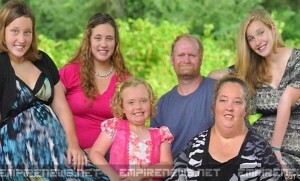 TLC cancelled the show when “Mama June” broke things off with her husband, Sugar Bear, and moved in with convicted child molester Mark McDaniel. TLC executives said they felt that June’s actions were putting her family in harm’s way, and although they resolved to continue paying for her children’s education and counseling, they would no longer be airing the TV show. “A trailer trash mom with young children has a convicted child molester move in, that’s just the kind of plot twist our viewers love!” said Mike Miller, SPIKE TV program manager. “Little Honey Boo Boo in danger every night, now that’s TV! 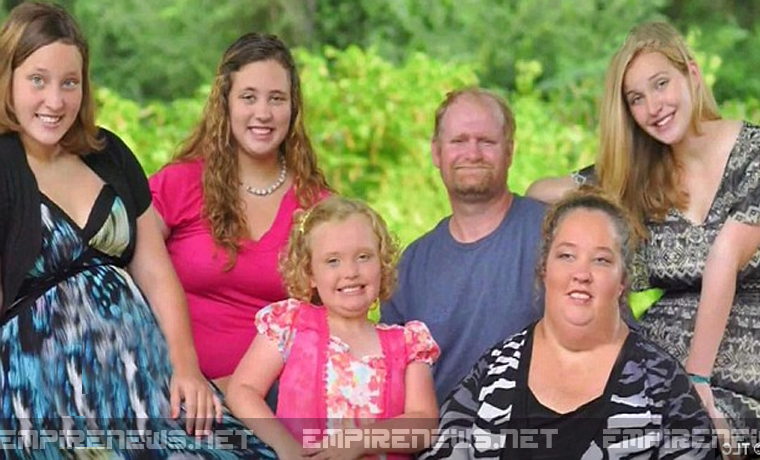 We at SPIKE do our best to make sure Honey Boo Boo and McDaniel spend as much time together as possible.The first episode will have Mama June winning a three-day vacation, leaving McDaniel home to watch the kids. It will be dynamite TV. I’m looking forward to this being one of our highest rated shows, and I have so much confidence in it, we will put it to directly compete against MTV’s 12 and Pregnant. According to Neilsen Media Research, some of today’s highest rated programs are broadcast on the top 3 “throwback” networks: Antenna TV, Cozi TV, and MeTV, acronym for Memorable Entertainment Television. Memorabilia from favorite shows, including props and costumes used or worn by familiar characters can bring thousands of fans to TV nostalgia conventions. One of the most instantly recognizable outfits is the famous “bat suit,” worn by Adam West, TV’s ‘Batman.’ Based on the famous comic strip, the television series ran from 1966–1968. 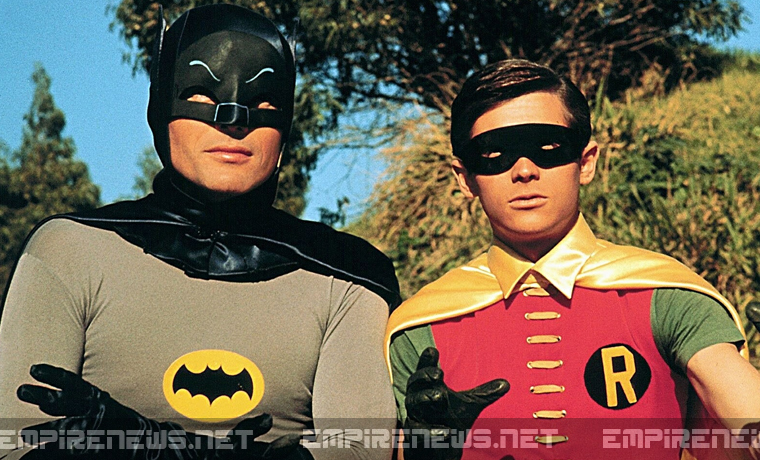 The “caped crusader” donned the purple top and tights, black cowl, cape and boots during the show’s 120-episode run. Batman’s clever “bat” devices made him indestructible against Gotham City’s villains and villainesses, but sadly, his famous get-up was not so well protected. The well-known bat suit has fallen victim to perhaps the most evil villain of them all – Mother Nature. Moth and vermin infestation has tragically destroyed Batman’s famous suit. The heartbreaking discovery was made public just weeks before the 30th annual Convention of Television Yesteryears, to be held in Frensno, California. “That was the biggest draw we had by far,” said convention coordinator Mark Delaney. “We were keeping it a big surprise until the last minute. 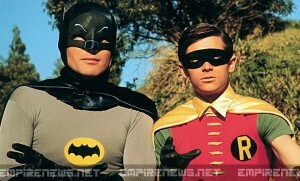 We were going to do a big reveal with special guest stars Adam West and Burt Ward doing the unveiling. We were so excited, we rented the motel suites and everything, but now I just want to crawl in a hole and drop dead,” added Delaney. Unfortunately, due to a massive power failure affecting the surrounding business district, a compromise in quality was encountered which resulted in damage and loss to some of the inventory housed and protected within our facility. Insurance investigators are conducting an assessment so that clients will be fully compensated for damages and loss. “They say they can fully compensate us,” said Delaney, “but what’s the value on something that millions of people love and remember? It’s like a part of my childhood and the childhoods of millions of fans all over the world has been burned to ashes and then flushed down the toilet, or in this case destroyed by moths, and then burned to ashes and then flushed down the toilet! How much value can be placed on that?” he asked. Insurance investigator Yvonne Meredith commented on the progress of the investigation. “Well, from what I’ve been able to see, it’s pretty bad. When the power went out, the magnetic locks on the climate-controlled vaults failed. All kinds of things were able to get inside there. The Batman costume was chewed through with holes. They must have been super-moths to do that sort of damage, or maybe some other kind of insect or rodent. I saw a hat once worn by Lorne Greene from Bonanza with mice making a nest out of it, and some feral cats had scratched up Robert Conrad’s pants from Wild, Wild West. That’s a real tragedy,” she added, shaking her head.